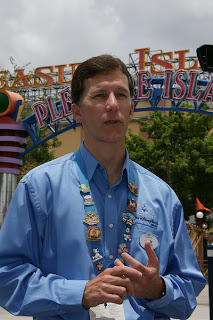 "Disney has said in the past that it expects to complete its redevelopment of Pleasure Island by 2012." 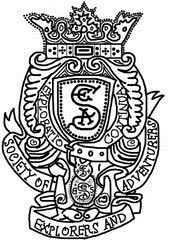 ©Orlando Sentinel. All rights reserved. It is hard to believe, but it has now been four years since Walt Disney World announced that Pleasure Island would shuttering its doors forever on September 28, 2008. In the press release, Disney promised the closure was to usher in its "bold new vision" for Downtown Disney. 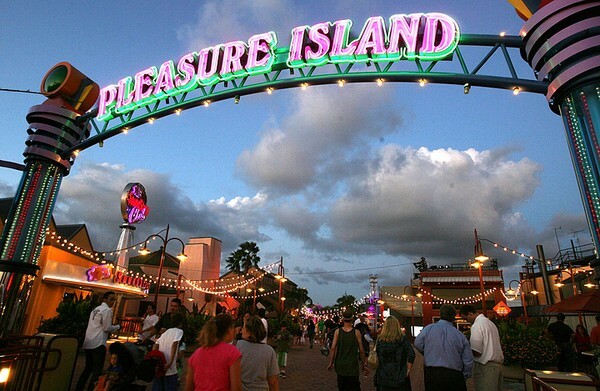 Four years later, fans of Pleasure Island are still waiting for that new vision. The shocking news came on June 27, 2008, and many fans were in disbelief. The Adventurers Club was the most beloved club on Pleasure Island by fans. Most took it for granted as if it would always be there. But if history has taught us anything, nothing is safe in a theme park. If you need examples, you need look no further than Jaws, Horizons, and Mr. Toad's Wild Ride. No club would be spared. Why were the Pleasure Island clubs closed? Kevin Lansberry said guests demanded more "shopping and dining." If you search Disney forums, you will read tall tales of gangs, drugs, shootings, and other vile things. Others will tell you that the clubs lost money, and they will use the tired "Disney is a business" line. From Parkscope's experience, and you can be assured we are well-experienced when it comes to Pleasure Island, we never once witnessed any such violence. As far as profitability, we have been assured that the only real loser was Comedy Warehouse. The Adventurers Club was profitable as were others like Mannequins. Disney's real reason for closing Pleasure Island was that they wanted to get out of the nightclub business and instead, increase their real estate business. Disney believed that third party vendors would be knocking down the doors of Team Disney Orlando (across the street from Downtown Disney) with truckloads of money, begging to move into Pleasure Island. There were two problems with this plan: 1) America was in a huge recession 2) Disney failed to secure said third parties BEFORE announcing the closure. Part of what made Downtown Disney and Pleasure Island third parties so successful was having night clubs there to attract business. Surely, Paradisio 37 envisioned a vibrant nightlife district when it signed its lease with Disney. Since closure, it has been rumored that Raglan Rd was very unhappy about the lack of foot traffic that resulted from the loss of the clubs. Harley Davidson has since moved to West Side. Pleasure Island is not so pleasurable anymore. 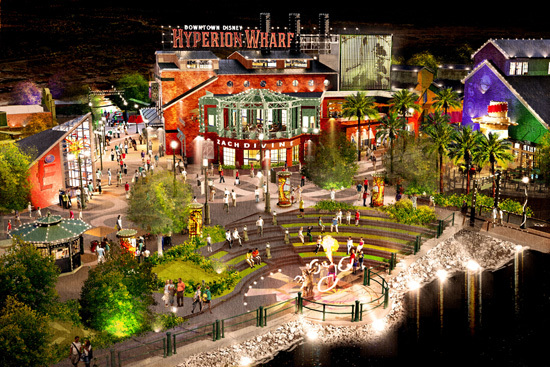 In 2010, Disney announced that Pleasure Island would be transformed into an area called Hyperion Wharf. Concept art was released and posted on construction walls. Motion and Beach Club were demolished and turned into "seed and mulch." That was the extent of Hyperion Wharf. It quietly disappeared, and the concept art was removed from the area. Disney has said that they are still working on a future plan for Pleasure Island. The Adventurers Club made the bulk of its money from private events, but the goodwill, memories, and magic it made for its guests (even the private event customers) was priceless. Can you put a price-tag on Cinderella Castle, the Tree of Life, or Spaceship Earth? That was what the Adventurers Club was to Pleasure Island and could have been for Downtown Disney. Walt Disney World built its reputation on special experiences like the Adventurers Club. It was one of those things you could not experience anywhere else. When Pleasure Island first opened, it was full of things you could not experience at your hometown nightclub district. It was chock full of Disney details. There was live music, fireworks, and it was New Years Eve every night. Not everything needs to drive profit or see tremendous gains every year. Some things just need to be there to enhance the guest experience. Safety, Courtesy, Show, and Efficiency are the four keys of Disney service. Notice, show comes before efficiency or at least it is supposed to. Closing things like Pleasure Island puts efficiency before show, and what does Disney have to show for it? Empty buildings and angry patrons. To those of you who revel in the closure of Pleasure Island and never miss a chance to remind fans that it is gone and never coming back, what have you gained from this? You have gained nothing, nothing at all. Fans who enjoyed Pleasure Island lost something important to them, and no one got anything in return. Think about that next time you begin to troll someone over Pleasure Island. Reveling in nothingness just makes you look silly. Yes, Disney is a business, but no good business has buildings collecting dust for four years. One nitpick--all of Disney's defenders like to cite "the recession" as the reason the PI changeover failed. However, in the past four years, I-Drive and west 192 have exploded with new growth, including many places that seemingly would've fit into the bold new PI vision, if rumors from insiders are to be believed. TDO grossly overvalued their real estate (and misjudged their target audience), so their plan was doomed no matter what the economy did. More like Hyperion Whiff. Good read. Kungaloosh. They've build entire lands at parks around the world in the last four years. PI was closed with no solid plans and no signed deals in place. Still left with no idea why/how was this allowed to happen? No plan and four years later still nothing. PI and it's walls and empty buildings are in a main thoroughfare. It's the biggest and longest example of bad show and brand squandering I think Disney has ever done. Not to mention the huge loss of an option for all the adult guests. It's ridiculously crazy that this even happened.